The EyeOnWater iOS app, like its web-based counterpart eyeonwater.com, lets you connect to supported water utility accounts, giving you visibility into your water usage and alerting you to potential leaks – all from your iPhone, iPad or iPod touch. 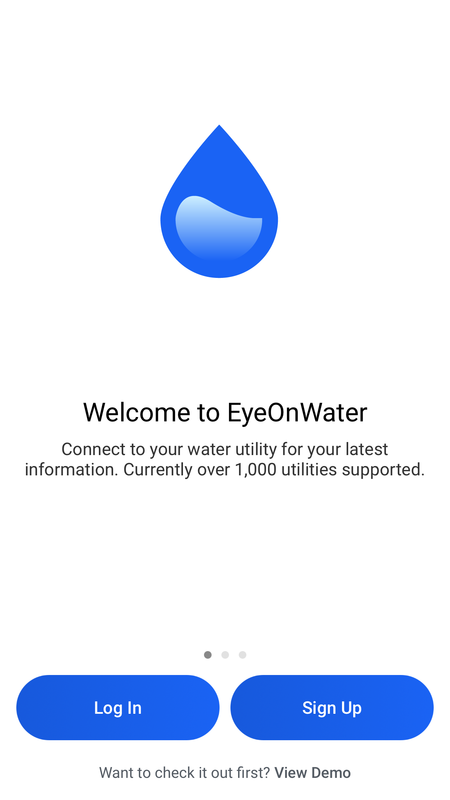 The EyeOnWater app is organized in pages: Overview, Usage and Account. To access them, you must first sign in or create a new account if you do not already have one. Sign Up, Log In. How to create an account, log into an existing account and reset your password if you forget it. Overview. See whether you have a potential leak, and quickly compare weekly water use and contact your utility. Usage. Get details on your hourly, daily, weekly and monthly water use history and discover trends. Account. See vital account details, including your Account and Meter Number(s) and get a map view showing your Account Location(s). The Welcome screen greets you the first time you open the app. 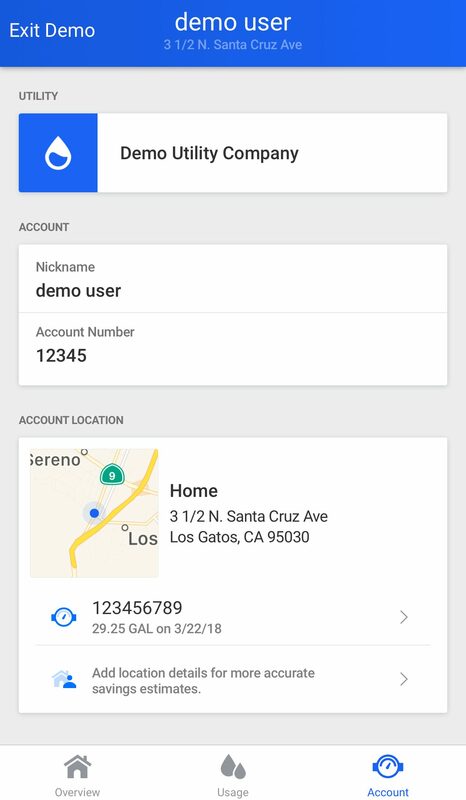 From this screen you can: Log In to an existing account, Sign Up for a new account and preview the full functionality of the app using a demo account. TIP: Tap the icon (circled in red) in the Password field to toggle the visibility of your password. If you forget your password, from the Log In page, tap Forgot Password, and follow the prompts to reset your password. From the Log In screen, enter your username and password and tap Log In to start using EyeOnWater. Tap the arrow in the upper left corner to see your EyeOnWater Accounts and Settings and to get Help. Tap Help to open this user guide. See the email address associated with EyeOnWater. See the version number of the app. Tap Close to continue using EyeOnWater. See whether EyeOnWater has detected a leak. NOTE: To take advantage of leak detection, use a web browser to go to http://eyeonwater.com, and follow these instructions to set a leak alert. Tap anywhere on the card to get more leaks details. TIP: Tap any card with an arrow in the upper right corner to see more details. Usage for each year your account has been active.From any of these screens, tap to select a day, week, month or year and see how much water you used. 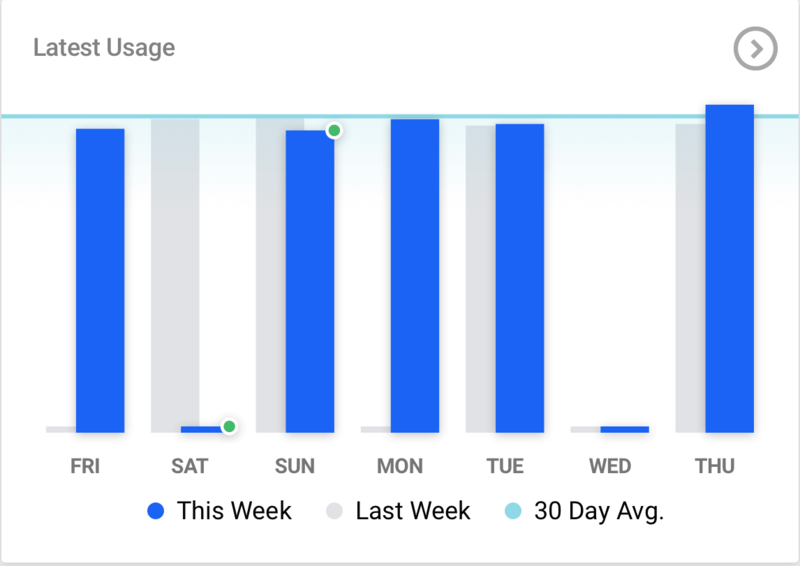 Current selections are blue, while other bars of the graph are gray and remain visible to allow you to compare usage. TIP: To compare usage on different days, weeks, months or years, swipe and keep touching the screen. The vertical scale of the graph changes when you stop touching the screen. In the gif above, notice the maximum use for the week of May 28 – Jun 3 is 184 gallons. The next week’s maximum is 580 gallons. Continuing to touch the screen retains the scale from the previous week, giving a better comparison between screens. Tap the Calendar section of the Usage page home screen to see your usage trends as a “heat map” in which light blue dots indicate less use, darker blue dots indicate more use. Red dots denote leaks. Tap the i to open the Usage Key . The Savings Calculator lets you see how much water would be saved if you performed the listed tasks. 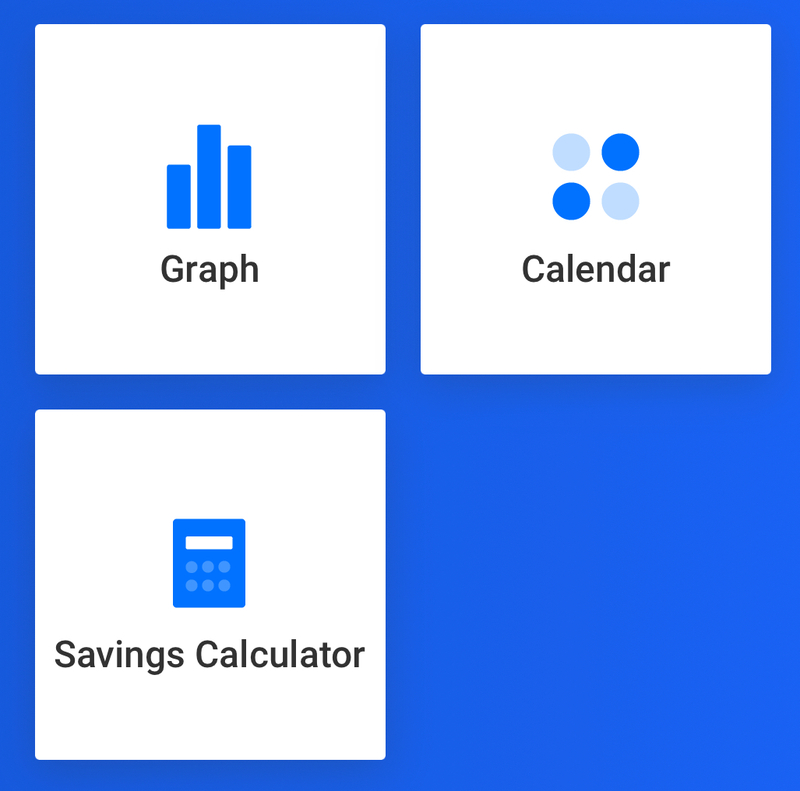 To get started, tap the Savings Calculator icon, then tap anywhere in the Location Profile box to add details about your premise. EyeOnWater will use your location profile to more accurately calculate savings estimates. After creating a Location Profile, select actions to estimate savings. Still have questions? Use the Feedback form to contact us.